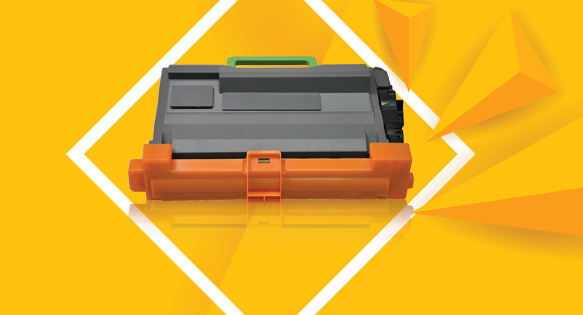 Remanufactured toner cartridge Brother TN3480 now available! CIG releases a new remanufactured toner cartridge for use in Brother HL-L 5000 and HL-L 6000 Series, dedicated to SOHO and SMB market segments. With our product solution you do not have to choose between quality and cost any longer! Our remanufactured product is one of best aftermarket alternatives available in the market in each and every performance aspect; and all for a far lower cost compared to the original equivalent. CIG’s TN3480 is an environmentally sustainable product re-manufactured using zero landfill processes. To learn more about this product, please click here. ©2019 Clover Imaging Group. All rights reserved. All rights reserved. All trademarks referenced are property of their respective holders and are used for identification purposes only. Clover Imaging Group, MSE, Dataproducts, freecolor, Re-Post, Clover Environmental Solutions, Collecture, Axess and their logos are trademarks owned by Clover Technologies Group, LLC, and may be registered in the United States and other countries.